A competitive edge is always a welcome notion in the ever-changing world of digital marketing. Many digital marketing strategies are utilizing online influencers as part of their overall plan. Influencers can shine a spotlight on your site, product, or service and get eyes and ears on your brand that would normally be outside of your reach. An influencer is a personality that has amassed a loyal online following. These personalities come in different forms; they may be social media influencers or have a strong blog following. They can use their spheres of social engagement to garner awareness of your brand. These influencers are themselves brands and can be powerful parts of your overall digital strategy. An influencer can amplify your content and message and attract audience segments that are unaware of your brand but otherwise align with your target audience. Working with an influencer is a bit different from typical digital marketing channels. Influencers have carefully built out their brand and, in turn, have a very specific audience. This audience is typically very engaged with the influencer content. This creates a unique opportunity for digital marketers who typically spend countless hours in an attempt to reach the ideal audience. 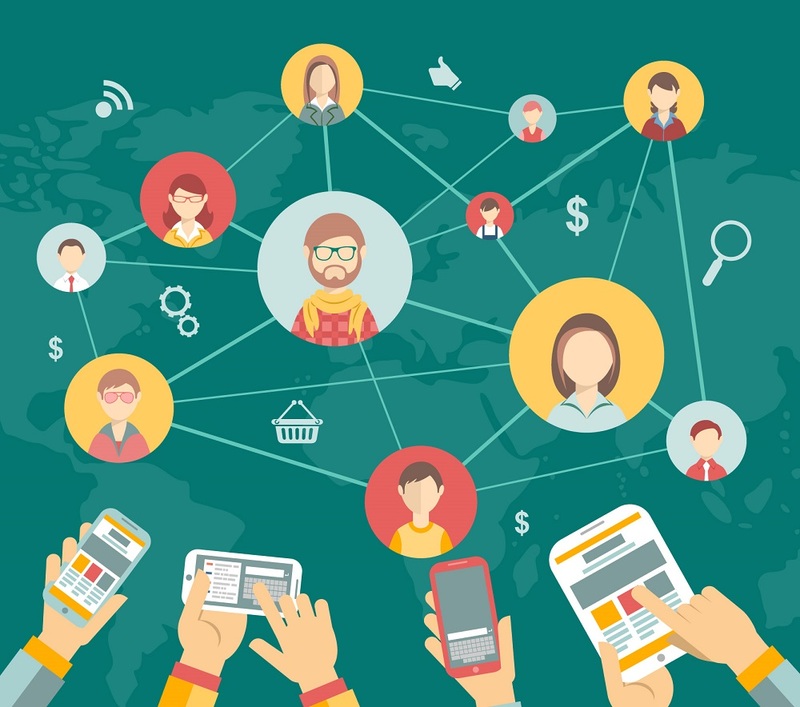 An influencer has a segmented audience that is already poised to listen. Teaming up with an influencer can take a lot of the guessing game out of digital messaging. You won’t have to spend quite as much time trying to reach your ideal audience because you’ll already be familiar with the brand of the influencer and the type of followers it attracts. The key is finding an influencer that best aligns with your brand, message, and target audience. There are a few things you should understand to ensure your influencer marketing strategy is a success. Understanding influence is step 1 in the How to Find Influencers playbook. Many businesses and brands are a bit unsure about how they should go about qualifying influence. A lot of brands think that a social media personality’s follower count is the best way to determine influence. However, a high follower count doesn’t necessarily guarantee that an influencer will have a strong sway with an audience. Influencer marketing is about leveraging an influencer’s authority, not their image. Is the influencer relevant to your brand? Don’t struggle to make an association fit. The content and brand of the influencer should already be a solid fit with your own from the get-go. Find a social influencer that already aligns with your brand. Does the influencer have solid engagement? You should look at various key metrics to ensure that a given influencer actively engages with the audience in a meaningful way. Likes and shares are a good place to start. You also should keep an eye out for shifts in followers after various posts. An increase in followership that seems to correlate with a popular post is a good sign that an influencer is gaining traction. The more an influencer engages with the audience, the better your chances that conversions will come from working with him or her. Does the influencer post quality content? You definitely want to ensure that any influencer you work with posts quality content that aligns with your brand goals. If the feed is full of spammy content or random posts that aren’t on message, it’s a major red flag. Search ranking can be an indicator of quality content. If blog posts rank for certain keywords, it’s a good sign that Google considers the influencer an authority on the given subject. It’s important to understand how a social media influencer’s reputation differs from that of typical spokesperson. Years ago, celebrities were the main source of influence as spokespeople for various brands and products. These brand-personality relationships differ a great deal from digital age influencer marketing. Social media influencers have built their following based on their authority on a given topic. This garnered authority is where their influence stems from, whereas a celebrity’s notoriety typically comes from some other field, like acting. It's often argued that because of this established authority, social media influencers are far more effective at swaying their audience than old school celebrity endorsements. For instance, who would be more likely to sway an audience for a travel-based brand: a travel blogger with a huge following or a celebrity who is famous for appearing in film? It would make more sense to trust that someone whose notoriety is directly related to your industry would have more sway in that given field than any other endorsement. The data supports this assumption. According to a study conducted by Twitter, 40 percent of users claim that they've made a purchase based on the sway of Twitter influencers. This is a major reason many brands attempt to find influencers on Twitter. There are multiple ways you can locate influencers in your field to partner with to promote your business. There are various online tools with the express purpose of matching businesses with brand-aligned influencers. These can be great ways of identifying online movers and shakers in your industry. Many influencer-specific search tools are paid services. If you’re on a tight marketing budget, you can employ plenty of free methods. You can search for specific hashtags and keywords to find social media influencers. Target hashtags and keywords that are specific to your industry when conducting these searches. This method works best on platforms like Twitter, LinkedIn, and Instagram. You can also utilize blogs to discover influencers that fit your brand needs. Performing a targeted search on Google or any other search engine is one of the simplest ways to go about this. Blogs that end up at the top of the search results page will typically be your most popular influencers. If you’re a smaller business with a tighter marketing budget, you may have to venture onto pages two and beyond to locate influencers willing to work with small businesses. An influencer marketing strategy can serve as a megaphone for your brand and its message. There are multiple methods of finding an influencer within your industry that has a loyal following. The key is understanding what makes an influencer relationship successful. Any digital personality can promote your product or service to followers, but that doesn’t necessarily result in conversions. It’s crucial that you use the tools and methods above to locate an influencer that already aligns with your brand story and values.